Many of the people who ask us this understand that marketing can be a major driver of growth for their company, but it can be difficult to know how much investment will be required before they can start seeing the results they seek. Unfortunately, guessing wrong can be a costly mistake. 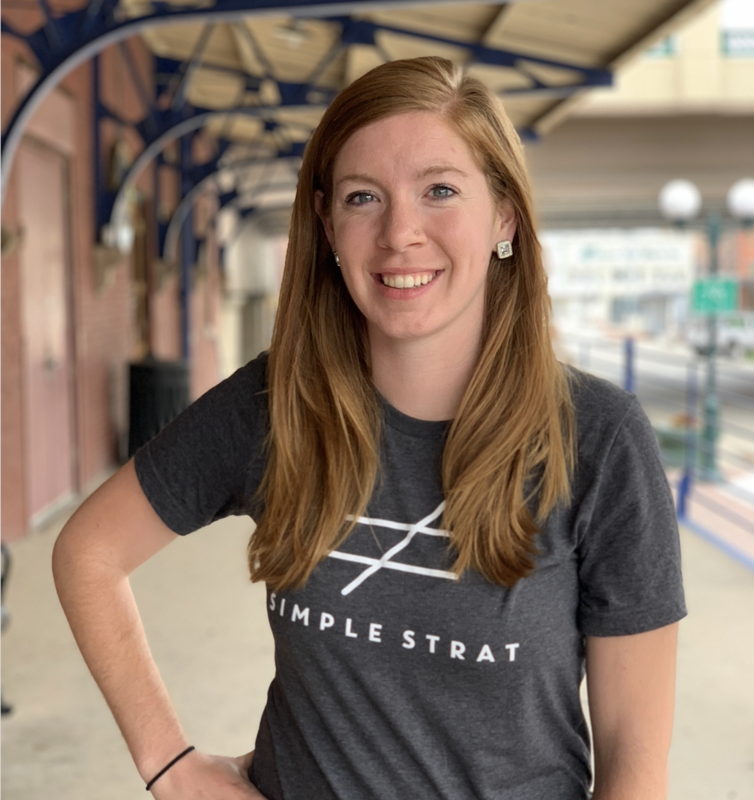 Spend too little, and that money may end up completely wasted because it didn’t allow for the critical mass of marketing activities needed to turn strangers into customers. Spend too much, and you may end up with the same results that could’ve been achieved with a smaller investment. While there is no exact formula that works for every company, there are a few tried and true ways to start calculating the total for your team. 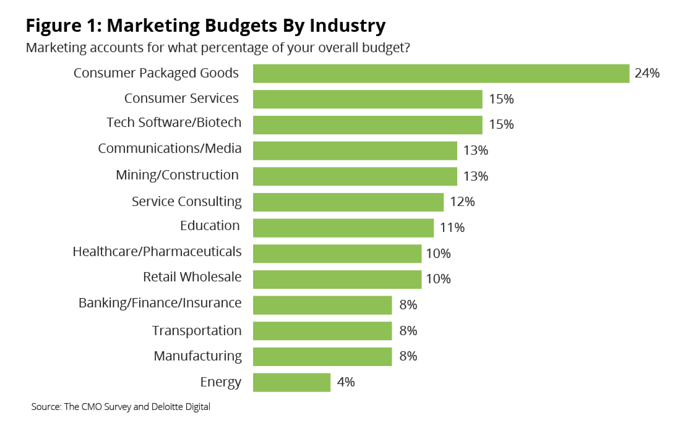 The CMO Survey, sponsored by the Fuqua School of Business at Duke University, Deloitte LLP, and the American Marketing Association, breaks down marketing budgets based on specific industries, providing a starting place to determine your budget for the upcoming year. Marketing budgets continue to grow, now making up 11% of total company budgets on average, according to the CMO Survey. This is an increase from 10.4% in early 2012. This modest yet important increase shows the value companies are placing on their team's marketing efforts. When invested correctly, those efforts can have a dramatic impact on company success. Additionally, in a market overrun by a supply of products and services, great marketing has the chance to make your company stand out among the rest. Many companies determine their marketing budget as a percentage of revenue. Marketing, if done well and invested correctly, is a driver of growth and a direct source of leads for your sales team, which makes a percentage of revenue an appropriate indication. Again, these numbers vary greatly by industry, but can provide a helpful benchmark for execs looking for a place to start when setting a budget total. —The big spenders: The consumer service industry is in the lead with 18.9% of their revenue spent on marketing. This isn’t a surprise in a sector that includes everything from restaurants and entertainment to travel services. 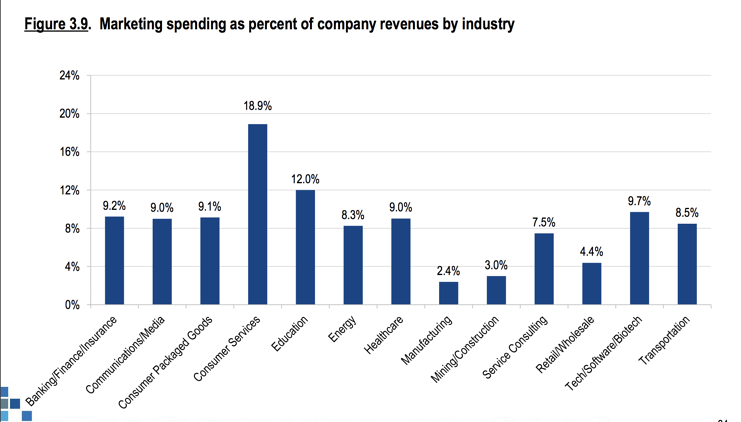 —The smallest spenders: The manufacturing industry comes in as the lowest spenders; their marketing budgets making up only 2.4% of their revenue on average. NOTE: In our experience with manufacturing companies, this limited investment in marketing is a result of how they’ve historically grown their businesses. In most manufacturing organizations, marketing is seen as a small function that primarily supports outbound sales efforts. Traditional, outbound sales methods got these companies to where they are today. However, we are noticing that many manufacturers are struggling to get to where they want to be tomorrow using the same approach. We believe that we’ll begin to see a greater marketing investment in manufacturing and that the companies leading this shift will outpace their competition. Most companies will fall somewhere in between, with the average across all industries coming in around 8% of company revenue. Another major factor to consider in your budget projections is your company size and age. 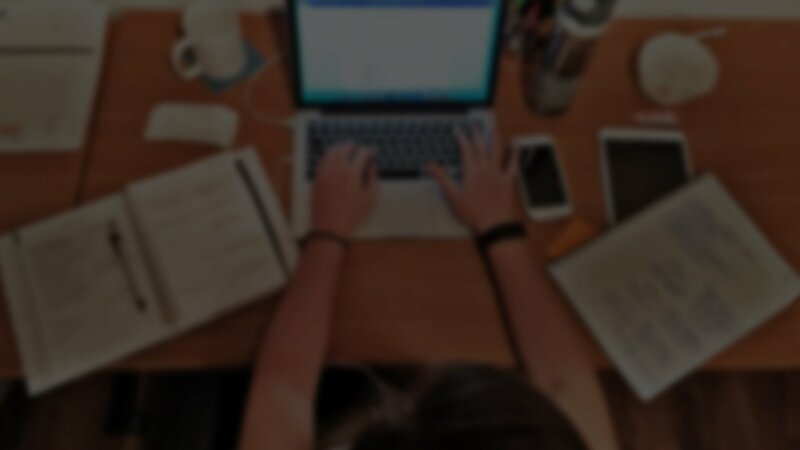 For young companies that don’t have much market share or brand awareness, the average marketing budget will be significantly higher than a well established company who already has a known brand and existing customers. Growth-focused companies: These are typically new companies who have been in business for one to five years. Most of these companies budget between 12-20% of their gross or projected revenue on marketing. Companies that are a year or two old typically need to spend on the high end of that spectrum. This is also true for established companies who have a renewed focus on growth or who are shifting from a sales-first strategy to a marketing-first strategy. Maintenance-focused companies: These are the companies that have been in business for more than five years and who have brand equity and a good market share. They typically allocate between 6-12% of their revenue to their marketing efforts. Main takeaway: If your company is aggressively pursuing growth, it will be reflected in a higher marketing spend. What long-term investments are necessary? While you might see quicker return on some marketing campaigns, such as PPC or print ads, what long-term investments do you need to make in the upcoming year? Rebranding? Rebuilding a website? Creating a content campaign? Investing in a larger team? You might not see the fruit of these efforts immediately but that doesn't minimize their importance. Consider these types of investments for the upcoming year as you map the entire budget. How have your channels performed in the past? Analyze your channels to see which have performed well and given you a higher ROI for your efforts. Do you see a low ROI on the events you attend? 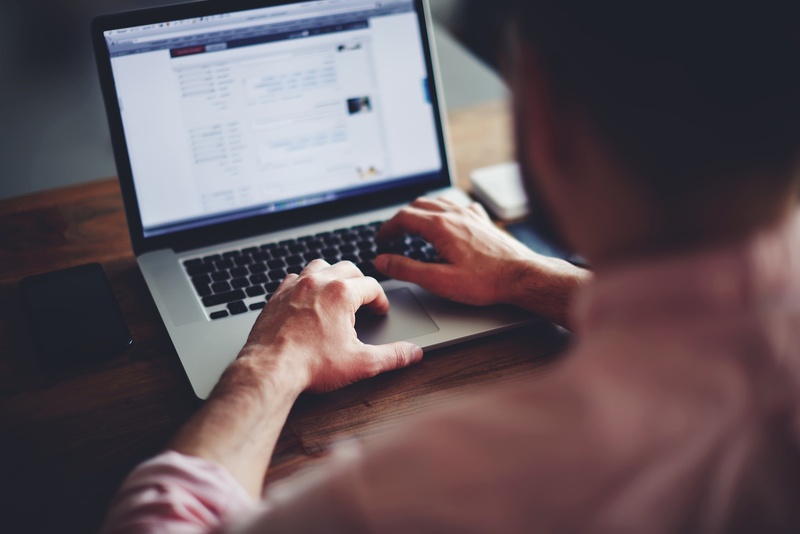 Did you have good success with a digital marketing campaign? If a channel has (or hasn't) performed as successfully as you intended, factor that in when you set the budget. What are your competitors doing? As you monitor your competition, you should also analyze their marketing efforts. Maybe you need to increase visibility with paid advertising? Or rework your website or brand to stand out among the competition? All of those factors should be considered when you look to set your marketing budget and specify the total. Now it’s time to set your total for marketing. As you look to set your budget for the upcoming year, consolidate all of the info you have, from industry and competitor analysis to your past campaigns. Even if you haven't diligently tracked your marketing budget in the past, look to the costs you do know. Make estimates based on the campaigns you ran or the monthly expenses you know you will incur (recurring campaigns and salaries). Remember: Create the budget that’s right for your company and team. Budgets set by other companies, even in your industry, are a benchmark—no company is exactly the same as yours. Use their budget precedent to help you decide what makes sense for you, to help your team succeed.